“Money is power” is a commonly held belief by both men and women. Whoever has the money in the relationship has the power in the relationship. This power is almost always abused by the one who has it and resented by the one who doesn’t. This is not a prescription for love and romance. Not talking about it only makes it worse. The subject has to be addressed, and if the relationship is to thrive, joint decisions about money must be made. My fiancé and I were very happy with one financial program that worked quite well: We each took a certain amount of money monthly from our joint funds—we called it our “allowance.” This was money that we each had for personal items, and we didn’t have to account for this money to each other in any way. I believe this is a necessity for married couples. Then you can always feel free to go shopping and buy something without having to ask the other for permission, or explain the value of your purchase after the fact. Make sure the rules are clear to each other, however. My fiancé and I were doing fine with our allowances until one day, when he brought up the idea that we should buy a new car. I said, “Fine, but what are we going to do about the down payment?” to which he replied, “Well, I thought we could use our allowance that we’ve been saving.” I looked at him, eyes wide in shock (picture deer caught in headlights). He had been saving all of his personal money. Not only that, but he just assumed that I was saving mine, too! I remember how angry he was when I told him I had spent all of my allowance. Oops. Make your relationship work. Talk about your money, your expectations, your goals, your beliefs. Write them down. Then write some positive money affirmations and practice them together. Give each other space to talk about what is really important to you financially, even if you’re afraid the other person will think you’re frivolous, cheap, irresponsible, tight, or whatever. If the things you really want aren’t provided for, either in your current (low or medium) budget or your goal (high) budget, anger and resentment are going to creep in to your relationship. Design the plan to have everything you want, and what you have to do to get it. Then prioritize your goals and work on achieving them together. Over the last week, I have been in Las Vegas playing in the Ladies No Limit Hold’em Poker Tournament at the World Series of Poker held every year at this time at the Rio Hotel. It’s something I look forward to every year, having developed friendships with women poker players from all over the country. 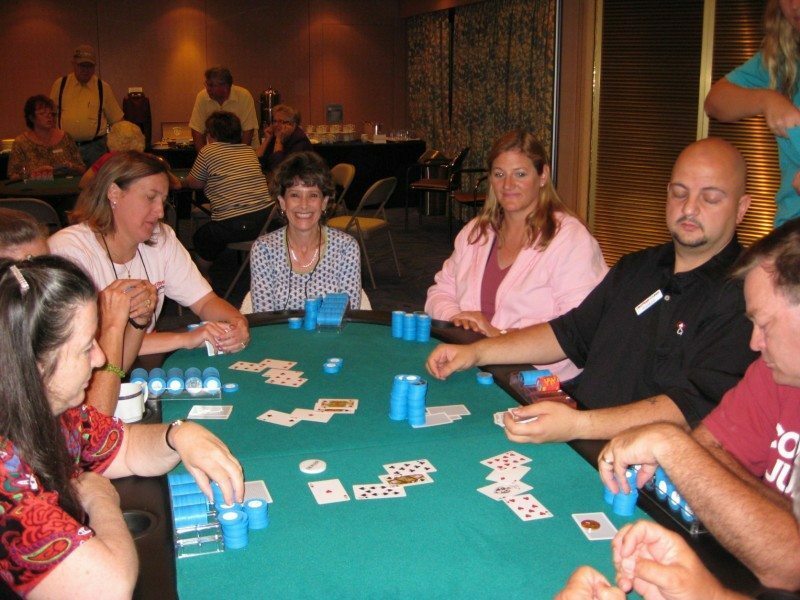 We meet up for brunches, satellite tournaments (smaller buy-in events where you compete to win a seat in one of the bigger buy-in tournaments), parties, seminars, and all the fun in the sun that is Las Vegas. It’s a blast! This year I was fortunate to “run deep” in the Ladies Championship at the WSOP and finished 34th out of 795 women for $3,971. I also finished 5th in the No Limit HORSE tournament at the Golden Nugget Grand series (Horse is a mixed-game tournament comprised of Hold’em, Omaha, Razz, Stud, and Eight-or-better Stud) for $1,002. Paid for my entire vacation! Whether I win or lose at these tournaments, I always feel like a winner because I have so much fun! There’s a saying in poker that the next best thing to playing poker and winning is playing poker and losing. Hee. The main thing is to be playing! So in accordance with my philosophy of taking plenty of time off in your life to relax and enjoy your hobbies, friends, and family, I gave myself a break from the blog. My trusty assistant Jeni posted The Wealthy Spirit pages while I was gone – thanks, Jeni!